It has been a busy month of June for me. I am still trying to catch up with all the photos. Reviewing, captioning, keywording and processing some 2,000 photos in all. With so many photos, I have a few left over I haven’t shown you. With this being the last day of June, here’s a recap for you. The month started out by explaining how to show scale in your photos. This post was selected by WordPress and featured on their Freshly Pressed front page over the first weekend in June. This generated thousands of views and hopefully a few new readers to the blog. 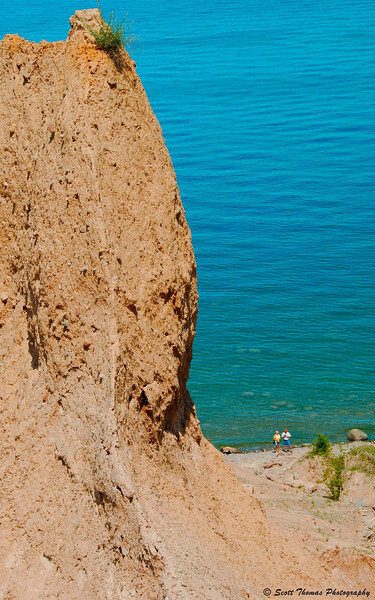 The people were a little too small for the article as they looked up at one of the bluffs at Chimney Bluffs State Park near Sodus, New York. Monochrome waves on the eastern shore of Lake Ontario near Pulaski, New York. A highlight and emotional event for me came next as I attended my first American Cancer Society Relay for Life in my hometown. Friends, family and people I have never met helped make this experience wonderful, meaningful and successful. Again, thank you all! 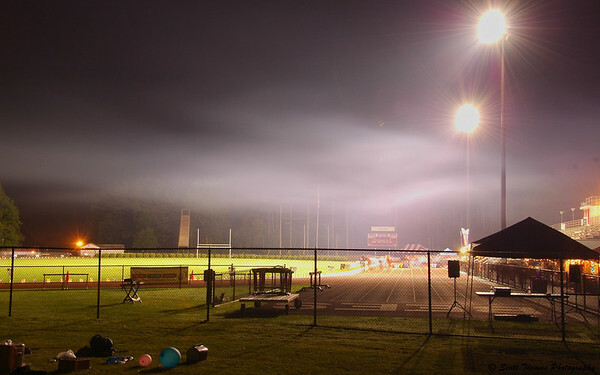 People walking during the Baldwinsville Relay for Life at 2:25AM as a cold fog hangs overhead. After the Relay for Life ended, I took a shower and headed to the 2010 Syracuse Hyrdofest for two days of photographing some of the fastest inboard hydroplanes in the world. I shared with you the “flying” Jersey Skiffs which looked like a ton of fun to be in. 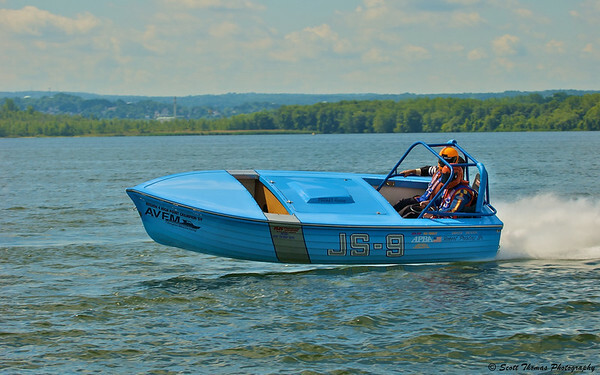 The Jersey Skiff JS-9 cruises by my location in the Official's boat out on the Syracuse Hydrofest race course. I ended the month in Oswego, New York enjoying the first Festival of Sail and taking a daysail on the tall ship Privateer Lynx. After the exhilarating time on the Lynx, I enjoyed the hilarity of a troop of pirates whose ringleader looked a lot like a certain captain seen on bottles of rum. 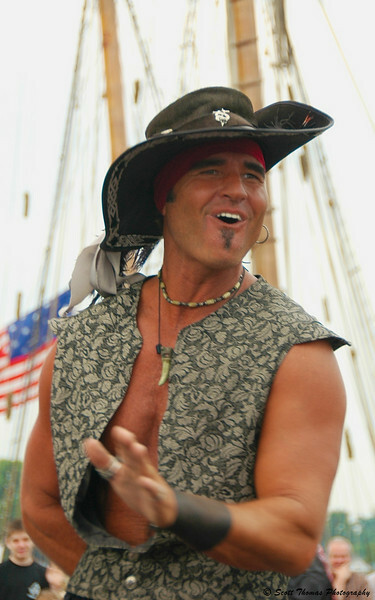 A pirate entertaining the crowd at the Festival of Sail in Oswego, New York. This entry was posted in Event, Nature, People and tagged baldwinsville, bluffs, hydrofest, jersey skiff, lake, Lake Ontario, new york, night photography, oswego, Photography, pirate, syracuse, water, waves. Bookmark the permalink. What a great sounding month just packed with awesome photo ops! It was and still is as I keep working at getting them processed. I need this three day weekend! My company choose Monday. Remember when this weekend used to be 4 days? BTW, I got my email notifications back by switching to another Admin email address. WordPress is looking into the possibly my ISP was blocking those emails. I would not put it past Time Warner to do so. 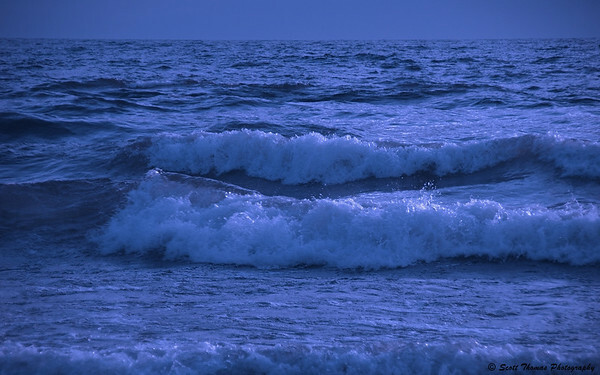 Just wonderful work, especially the very dark blue waves. You were busy this month! That I was. Oh, you got e-mail! You did have a great month! It was, Terry. July is looking like it could be just as busy.